Leaves Galore Ruler- available in 3 sizes from 24″ to 15″ long. The rulers will cut petals ranging from 2 1/2″ to 8″ fast and efficiently. It is strip cutting petals! Applique people will love how easy it is to cut a variety of sizes with little or no waste. 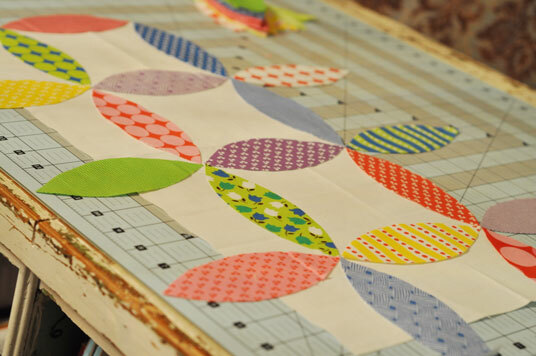 Fuse the fabric before cutting petals to have instant petals, ready to use in your next project. 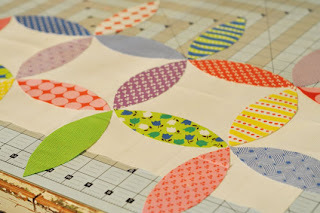 Layer several pieces of fabric and cut the size leaf you are needing. I cut 6″ leaves using the medium ruler and a fat eight bundle (9″ x 22″) Use a 18mm or 45mm rotary cutter to go around the curves easily. 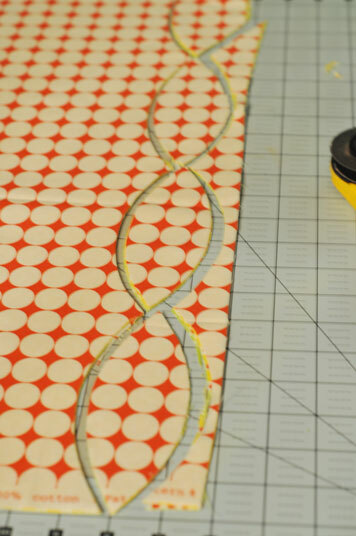 Make sure the cutter has a new sharp blade for best results. cutter to go through more layers at a time. Shift the ruler and line up the markings to cut the other side of the leaf shape. I easily cut 5 layers at one time. 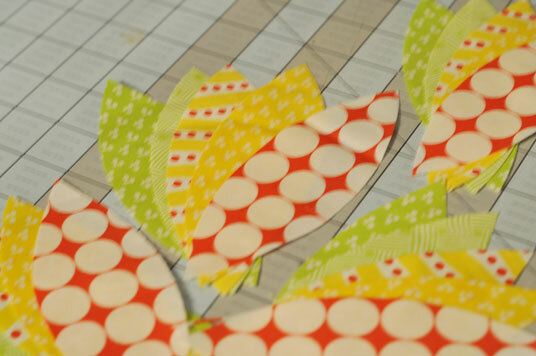 Cutting leaves from each of the fabrics went very quickly. I LOVE these fabrics. Now I just have to decide on a layout. but I loved it so had to get more white. Is this not the coolest ruler? 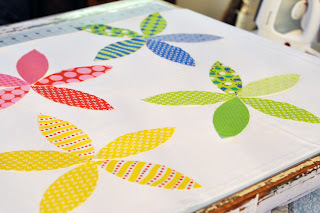 Or 4 leaves laid out as X petals? 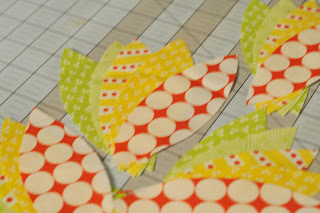 Big chunky flowers with ric rac for stems and a button or fabric yo yo for the center? I didn’t have any green ric rac, so use your imagination. It would be too cute! Send me pics of what you make. 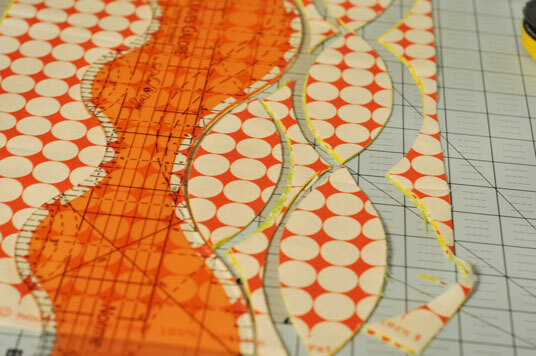 Click here for the full details about these rulers by Sue Pelland. Here is the Video how to. I just have to get one of those. Why do we have to wait until January! Could I be the product reviewer for Australia! 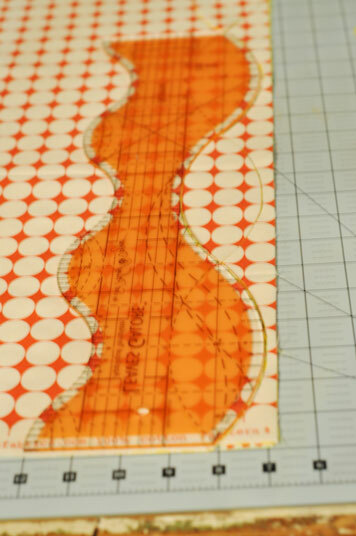 What an awesome ruler…what a brilliant product!
. . . just ordered all three sizes!. . . Thanks for the heads-up! Love these! What a wonderful tutorial! I need one of those rulers. I guess you then do a "raw-edge" applique? 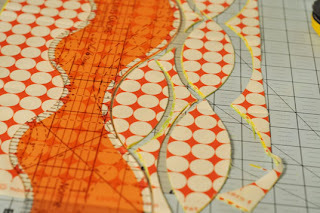 I also love Moda fabrics. Wish I lived just a tad further north so I could stop by the Moda headquarters! I read it too quickly. You already told us to fuse and sew. Sorry about that. This is really nice. Would love to see it on black! these rulers are awesome ! thanks for telling us about them I can't wait to try them out. So fast and so darling!! Amazing…what a time saver…who would've thought! I need to find these…and love Hoopla too! Wow that's pretty clever. Plus the fabric is so cheerful! I love how that ruler works! Brilliant invention! 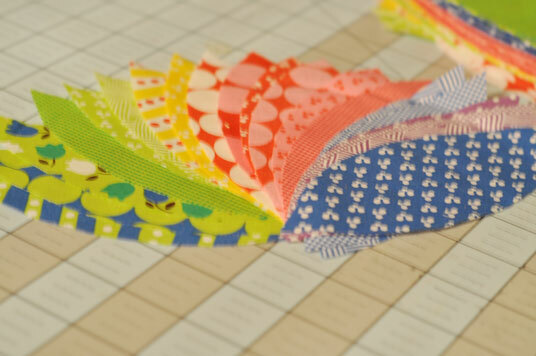 Fabric is pretty darn cute as well. 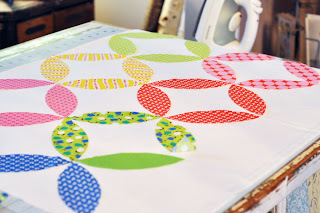 HI Lissa..now this is one THING I could use for demo's at my Anyway Quilters gathering..they would love it…thankyou for the tut…wow.. Very cool! I have to order mine! Thank you for the information. 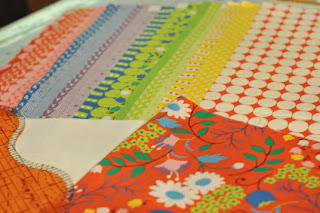 Very cheerful fabrics, too! Genius! Now why didn't we think of making that? Anyway, what a great time saver. 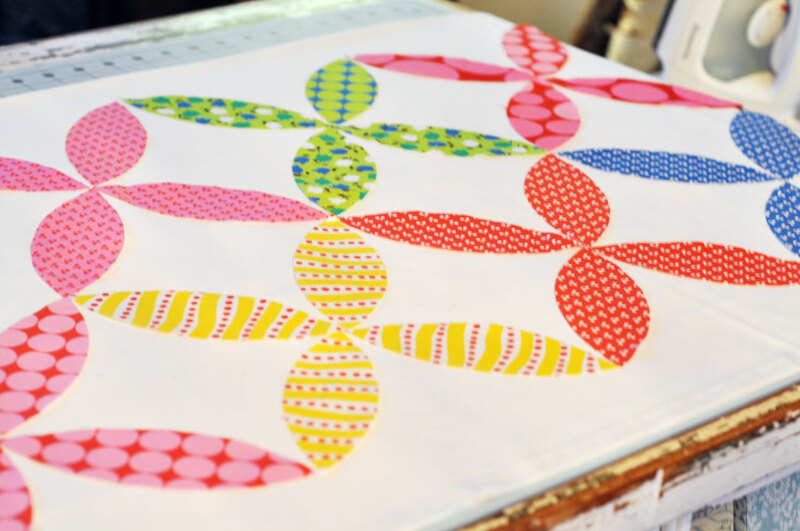 BTW-You caught my eye with that fabric! Yummy! I'm sorry you have such an awful job with lousy benefits!!! Ha! SO very VERY neat! 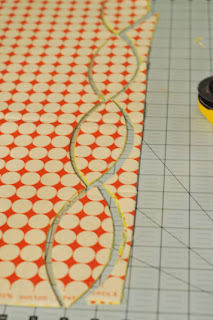 I am definitely going to have to find one for my quilting tool box! That is quite a unique Ruler. Talk about simplifying! Thanks for the share! I really need to get this ruler! LOVE the petals! I – 800- Gotta Have It. oh boy, I'm going to be in soo much trouble after the IQF… want the rulers & fabrics and not even in the door yet. Couldn't figure out how those worked! Gonna have to order them now. Thanks for tutorial. Will be watching for it!